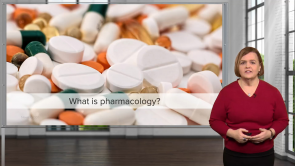 Pharmacology is one of the more difficult classes in nursing school due to tough requirements regarding names, side effects, interventions and usages of medications. In the NCLEX, Pharmacology takes 15 % of the entire examination. Rhonda Lawes, an Assistant Professor in a College of Nursing, will provide you with the best pharmacology test prep in a professional, but also funny and, most importantly, effective way. In order to give you the most important information for the NCLEX exam, she guides you through the huge list of medications you need to know, including the administration, assessment, and evaluation, as well as the theoretical knowledge about the nurse’s role in pharmacology. 5 star for Rhonda Lawes lecture on pharmacology, very informative, very clear in her lecture, lets me know when to pause the video to read, very pleasing to learn from. YOUR AMAZING AT LECTURING!! YOU MAKE LEARNING FUN :) THANK YOU.